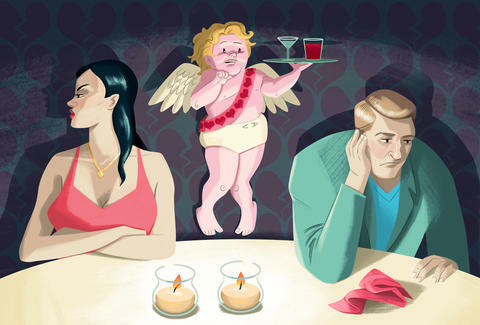 Valentine’s Day is the worst for, like, everyone -- but it’s the ABSOLUTE worst for servers in restaurants and bars, who have to deal with every single person in the room trying to make it “super special.” We talked to LA-based bartenders and servers who divulged some of their best (aka worst) Valentine’s Day stories from working and let’s just say -- you should be tipping them extra well for putting up with your BS this February 14. “She turned to him and said, ‘Well if they won't serve me do you want to get out of here? !’"
Taylor Casey is a contributing writer for Thrillist who’s currently accepting Valentine applications. Follow her on Instagram and Twitter @taylordcasey to send her yours now.